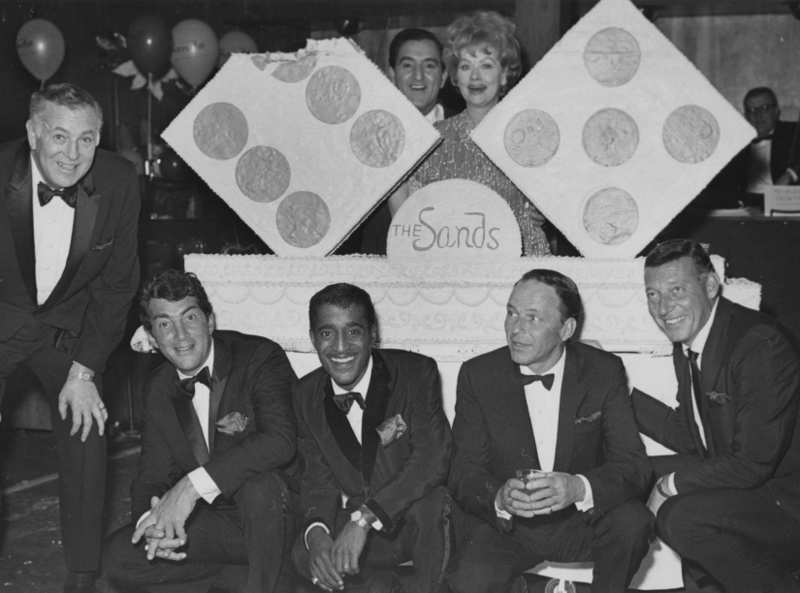 Celebrities at the Sands Hotel's 11th anniversary celebration in December 1963. From left to right in the front row: Jack Entratter, Dean Martin, Sammy Davis Jr., Frank Sinatra, Gary Morton. In the back row are Danny Thomas and Lucille Ball.